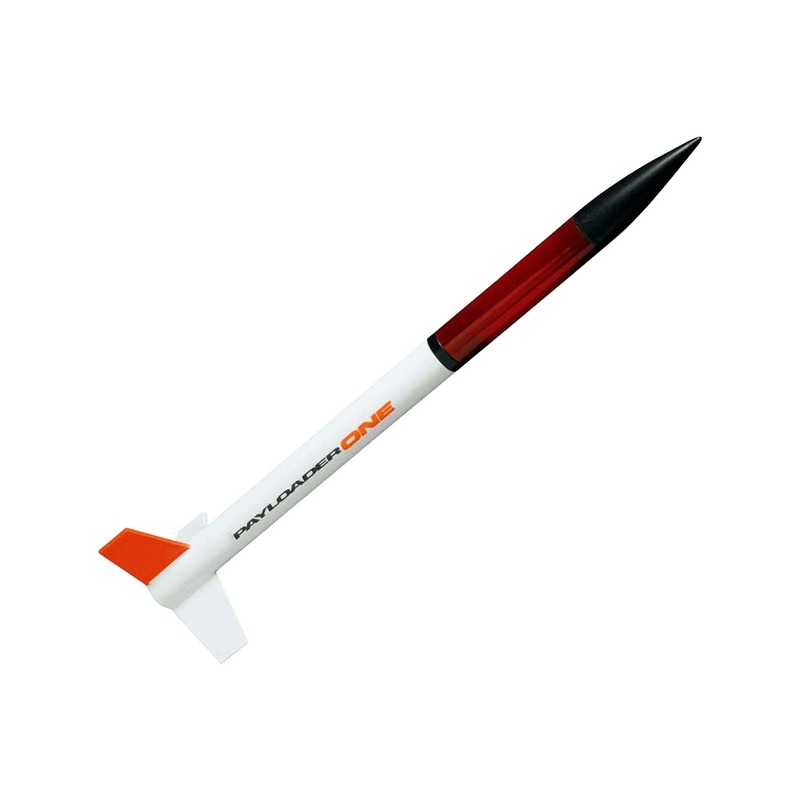 The Quest Payloader ONE model rocket kit is one of three Quest model rockets to uses TTW [Through-The-Wall] balsa fin attachment. There are three precise pre-cut slots in the body tube that allow for perfect placement and location of the fins. There is also a semi-transparent payload compartment and has a parachute recovery system. The Payloader ONE model rocket mixes challenge and high performance.